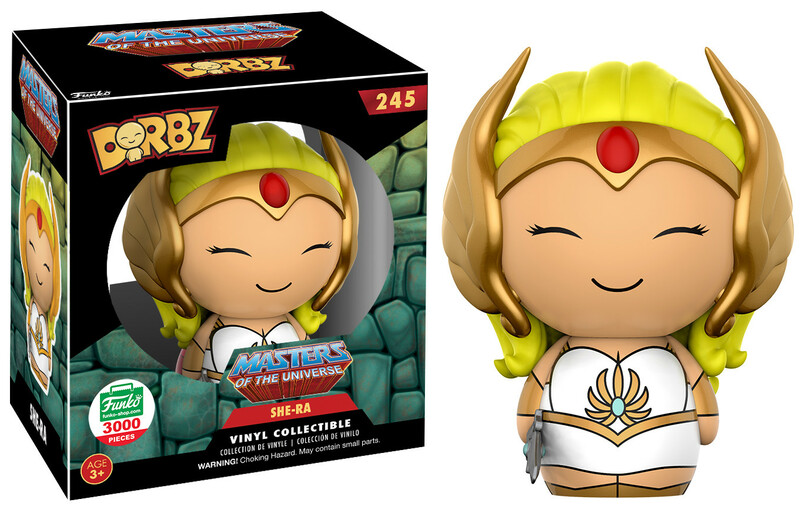 As part of the Funko Shop’s 12 Days of Christmas, Funko has released this adorably cute Masters of the Universe She-Ra Dorbz vinyl figure. No Masters of the Universe collection is complete without its Princess of Power! This She-Ra Dorbz 3” vinyl figure is a Funko-Shop.com exclusive and is a limited edition of 3,000 pieces. Pick one up today for just $9.99.